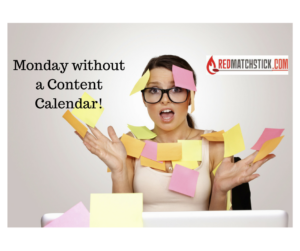 R97.75 incl VAT: This Content Calendar (AKA My Redmatchstick Chat Plan) gives you MORE THAN 50 ideas for daily posts to tailor to your audience. Links, ideas and inspiration galore! HAVE FUN … just create and post! Links to more inspiration and tools are included to make DAILY content generation easier than ever. DISCLAIMER This information is designed to help you create quality and consistent marketing content. It is not an attempt to render tax, legal, or business advice. How you use the information is entirely up to you. While every effort has been made to accurately represent the information, , any information, claims made or examples given, although believed to be accurate, we make no income claims, promises, predictions, guarantees of any kind. I have no way of knowing how much money you can or will make with this information (if any at all). As a result, I am not promising, predicting, implying or even hinting that you will make a single cent. Merely purchasing this cheat sheet does not guarantee, imply, ensure or otherwise suggest you will make money, nor does implementation of said information. 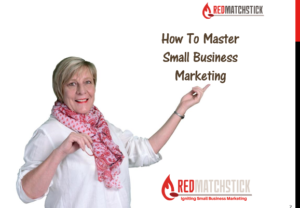 Every business or marketing venture involves some degree of risk and your success and/or failure will depend entirely on your background, dedication, desire and motivation as well as other factors both known and unknown, as well as factors beyond your control. We are giving you Content Marketing inspiration to vary your posts by type, message, theme to encourage Engagement and therefore increase Reach; across your platforms and not to forget Blogging to refresh your website content and Email to build trust and take people down your sales funnel. A social media marketing strategy is about ATTRACT —ENGAGE & BUILD — CONVERT. 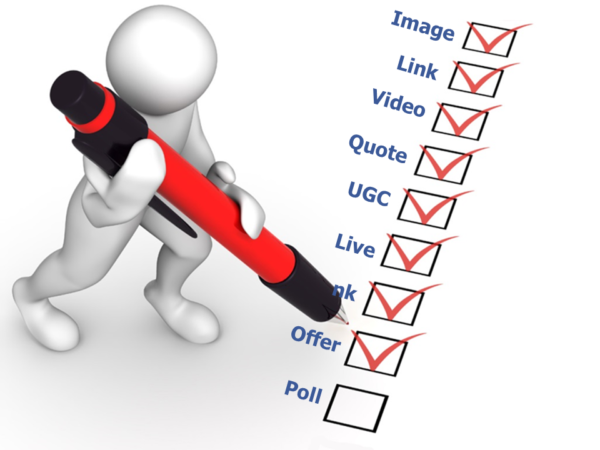 These post ideas are intended to achieve these marketing objectives. Test. Test. Test until you find what really connects with your audience. Always Respond and get into conversations. Holidays quotes, images, video and random days of the year connect with your followers and perhaps awaken some fans lurking in the background. Aim for engagement in a fun and definitely not over-promotional way. Add dates and Repurpose your posts to suit network differences and best practices, use these ideas to update your Blog and add value to your email marketing. Live Video is the secret tactic – do it often!